The 5th International Conference on Management and Organization »MANAGEMENT AND ORGANIZATION IN THE DIGITAL SOCIETY« was organized by The Slovenian Academy of Management and Faculty of Economics, University of Ljubljana on June 14–15, 2018. It took place at the Hotel Brdo, in the beautiful surroundings of Brdo pri Kranju, Slovenia. 30 participants from Universities Slovenia, Serbia, Croatia, Bosnia and Herzegovina, Republic of Macedonia, Albania, Norway, Italy, Hungary, the Netherlands as well as some Slovenian companies attended the conference. 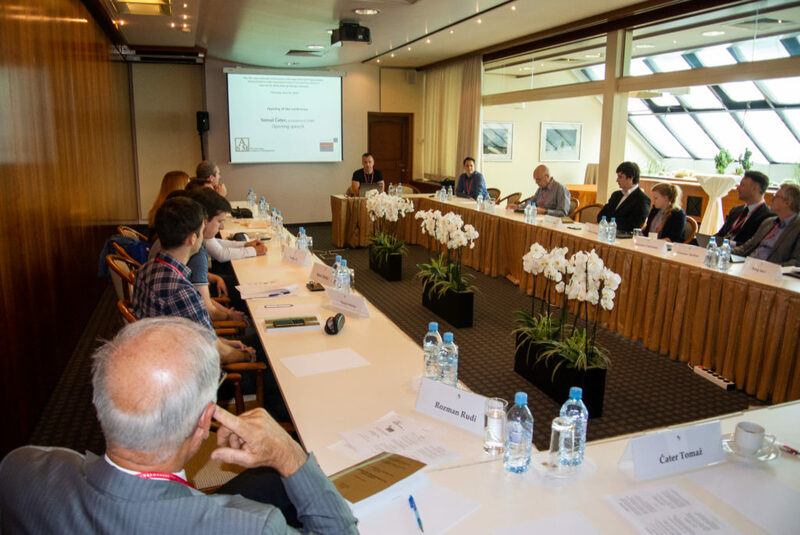 The conference was opened on the June 14th 2018 by the president of the Slovenian Academy of Management Tomaž Čater expressing a warm welcome to all participants and the chair of the organizing committee Aleša Saša Sitar with some practical information. Then the chair of the program committee Matej Černe addressed the participants with some introductory words about the theme of the conference »MANAGEMENT AND ORGANIZATION IN THE DIGITAL SOCIETY«, announced an overview of the content of the participating papers within two conference guiding streams (structures and processes in the digital society). The conference hosted two keynote speakers. The first keynote speaker professor Christian Fieseler, PhD from Norwegian Business School BI discussed in his visionary presentation Managing Artificial Intelligence’s Accountability Challenge the major challenges artificial intelligence is bringing to management and organization, and compared management in the digital era to nurturing a plant. The second keynote speaker Mateja Lavrič from Kolektor Ventures, presented a view from practice. In her speach On a Digital Journey she presented how Kolektor has been using digitalization to build competitive advantage for the future by recognizing young talent internally and establishing strategic investments in startups in crucial domains for the future, building and utilizing know-how. This would not be possible without top management support, clear vision, continuous learning and some intuition. Further 17 papers were presented in six sessions, discussing the topic of the conference from different perspectives, taking several different approaches. Sessions were chaired by Matej Černe, Sut I Wong, Petar Vrgović, Aleša Saša Sitar and Melita Balas Rant. The conference ended on June 14th 2018 in a very nice atmosphere, with the concluding words of Matej Černe and Aleša Saša Sitar, with discussion about the possible topics for SAM 2020 conference. For more information about the conference, to access to the book of abstracts and have a look in conference photo gallery, please visit the conference website.